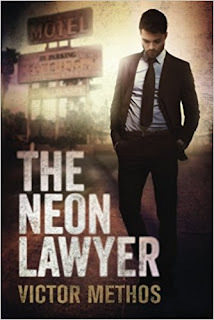 With money and hope in short supply, newly minted attorney Brigham Theodore decide it is time to lower his standards. he joins a seedy fly-by-night firm in Salt Lake City out of desperation. After he loses his first case a speeding ticket the is convinced his career is over. But to his shock, his boss hands him a slightly more complex case: capital murder. Brigham is new client is Amanda Pierce, a lost, exhausted woman who gunned down the man who tortured and killed her six - year- old daughter. A jury may prove sympathetic to her unbearable pain, but the law is no fan of vigilante justice and neither is Vince Dale, the slick and powerful prosecutor who is never lost a murder case. There is no question that Amanda pulled the trigger she did it in front of five witnesses. If she pleads quilty, she will avoid a death sentence, but saving her life this way comes with an admission that what she did was wrong. However, if she refuses the guilty label, Brigham will have no choice but to fight for his career and Amanda life.